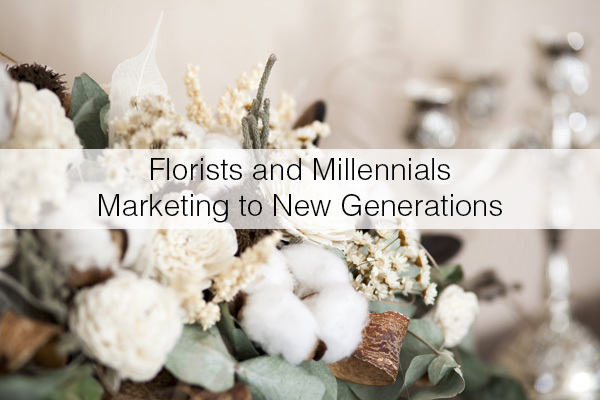 Florists, are you marketing to the younger generations? These days it may seem as though flowers are becoming a vintage luxury that only older generations seem to care about or can afford. Currently, the trend among Millennials seems to be houseplants. Their charm is that they require little maintenance to thrive, a tempting proposition for people who live busy and fast-paced lives. The virtual spaces that we now inhabit changes the landscape of living, requiring businesses of all kinds to quickly adapt their products and marketing strategies. If you haven’t, it’s time to begin thinking of ways for your business to reach young people. The touchstone of the Millennial generation is the Internet, enabling people to be connected wherever they may be in the world. This makes the Internet one of the best tools of communication, and of course, marketing. Knowing how to fully utilize the Internet to make an impact with your brand is fundamental to letting yourself be known to your target audience. Social media platforms are by far the most visited websites and tools in today’s society, and florists should take advantage of that traffic to bring attention to their brand. Although it is good to have an account with all the large social media platforms, the most critical are Instagram and Facebook. Their impressive support for images (which you should rely heavily on) and extensive ad programs make them the go-to for almost any business. Your shop’s Facebook page is going to be the face of your business, so take your time tailoring the page’s picture and cover photo. For any other day, you can use a default design, but you can also utilize these photos when running campaigns or promos. Usually, the profile photo can be your logo. The content of these profiles will be the most important. Whether it be on Facebook or Instagram, your posts should endeavor to tell a story. Millennials are loyal to brands they trust, and they trust brands that tell their stories. Millennials are DIYers and reliant on gathering information on the Internet, thus you should take this opportunity to consider putting up a blog, where you can teach people how to take care of flowers, content about which flowers can be useful for specific occasions, how-to/DIY guides, and much more. Putting up content is both a service to your customers and a boost to their loyalty to your brand (besides being good for your search engine ranking!). Once they find your content helpful and useful, they can learn to trust you over time. A trend that you can also ride on nowadays is the do-it-yourself trend. People believe that when they can do it themselves, not only can they have potential savings, but they can also have the satisfaction of having done it themselves. 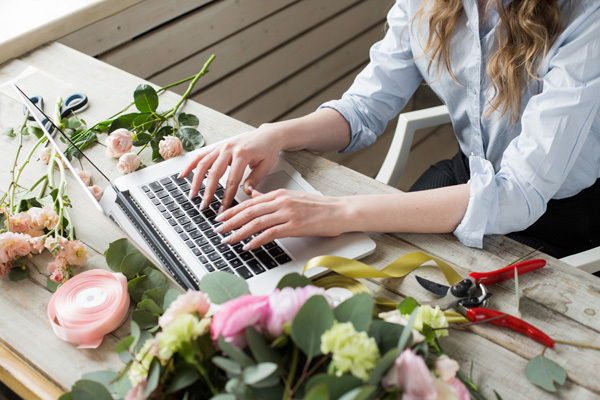 In order for you to fully utilize this trend, you should have good DIY content, where you teach people how to set up flowers and maybe even teach them a few tricks in floral arrangements. 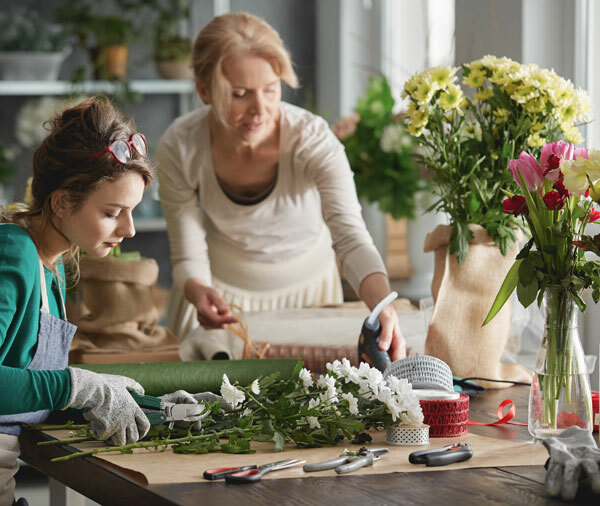 For people who might be apprehensive in the DIY approach, give them a flexible option that lets you do it but still gives them control over the flowers. The key here is customization: give people a way to express themselves through the flowers, and try to give them more options to give more customization! After gathering a following, you should engage with them! 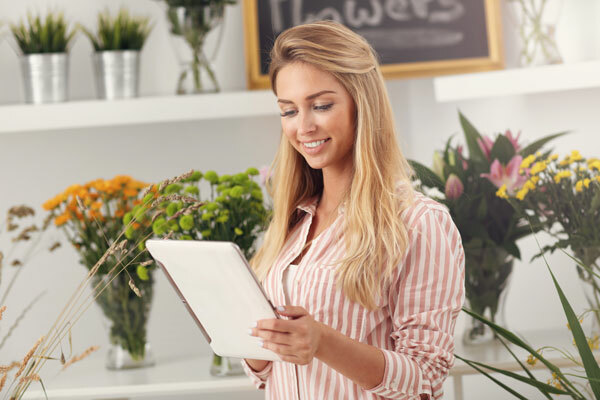 You should excel in customer support: dealing with errors in orders and delivering, helping provide information on the flowers, and even helping them out pick the right flowers for specific events. Going over and beyond, you should also learn to engage with your customers in the social media platforms. People appreciate replies to questions they ask about your service or product. Part of relating to them is talking with them when they share their own experiences. By encouraging people to share their own stories, then commending them and appreciating their effort, they are more likely to interact with your brand more, earning yourself a potential customer. Don’t force people to do so, though; let them come to you naturally so you can ensure that they will stay. Through these interactions, you can also get feedback as to how to improve your products further. Letting them voice their opinions and recognizing them can be great in knowing how to make your service better for them. Convenience is one of the millennials main focus when choosing or purchasing a product. Anything that could cause any brief delay will detour this generation in finding a competitor. Just like in other industries, you might be also interested in setting up subscriptions and or loyalty programs. Subscriptions are perfect for the floral industry and can entice newcomers since they will be bound to be changed every so often. You can feature flowers every month and have them sent to everyone who subscribed, with complimentary brochures on how to take care of them, information on the flowers or advertisement of your upcoming events or classes. Loyalty programs can be less effective than subscription, but they can help add more incentives to customers who frequent your place, which will keep them returning. Marketing to Millennials and the younger generation may seem too much work, a pain, or even frustrating. However, simply following some of the recommended marketing tactics above can help increase a younger clientele and will help increase profits and allow your business to bloom in the future! Florists, what are you doing to reach young people? Please share your comments below!